Bespoke Hypnotherapy Solutions For Positive Change. Wow is the best word for the last few days. The UK Hypnosis Convention was fantastic. 3 days of talks, presentations and trainings’, mixed with a question and answer session and other social events in the evenings. A whirlwind of information, that deserves it’s own blog or maybe several. The rest of our time away from the office was to celebrate my 50th birthday, and to have a new experience. This time away has really highlighted for me the pressure we put ourselves under due to our constant connectivity. Our awareness of the expectation of others when they send or leave us a message, that we can, and will respond to them in their expected time frame is just one of many reasons to unplug every once in a while. Some people are disciplined and turn their phone off, or the ‘do not disturb’ feature on, at a set time every day. Others have apps set up so they can track their phone, social media and game usage. But for many the temptation of this little electrical box is too much. Mobile phones have so many capabilities now that I often wonder how we managed 10 years ago. But manage we did, and this was something I wanted to get back to. 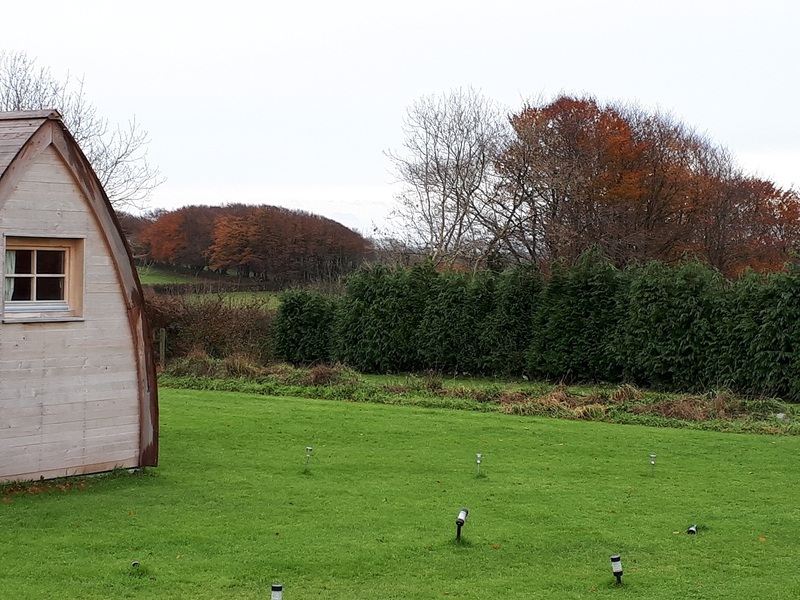 We booked a couple of nights at Higher Culloden Farm in one of their cute wooden glamping pods. 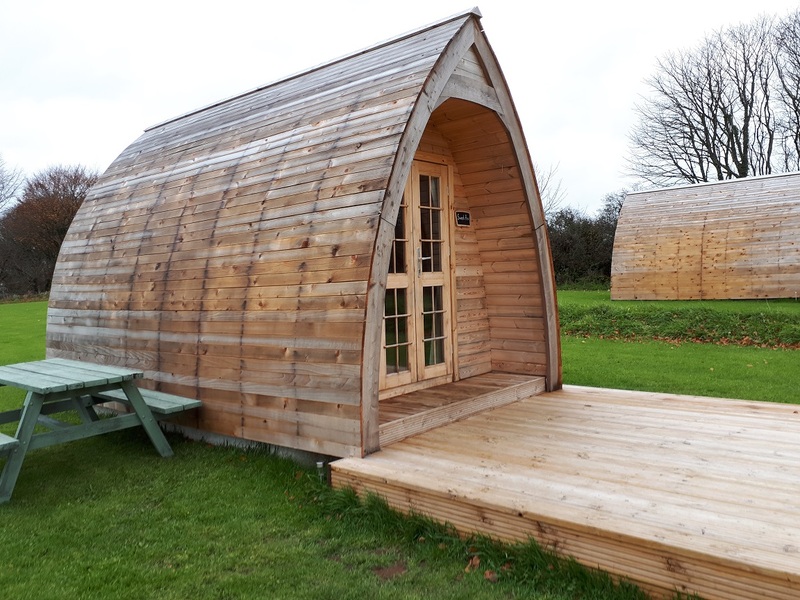 The pods have no heating or electricity (though there is in the kitchen and private bathroom), we expected a getting back to our roots experience. However it was more like posh wild camping that was very comfortable and cosy (obviously very well insulated), right here in our beautiful county. North Cornwall is so different from here in Helston, so many more trees and what a perfect time to be nestled in amongst them in all their golden glory. By unplugging from the world we gave ourselves time and space to really enjoy an easy connection to the natural world. Such an incredible experience enriched even more by hearing and seeing so many birds and animals, both on the farm and in the wild. It was the prefect break for spending time together, chatting and discussing all that we had learnt at the UK Hypnosis conference. 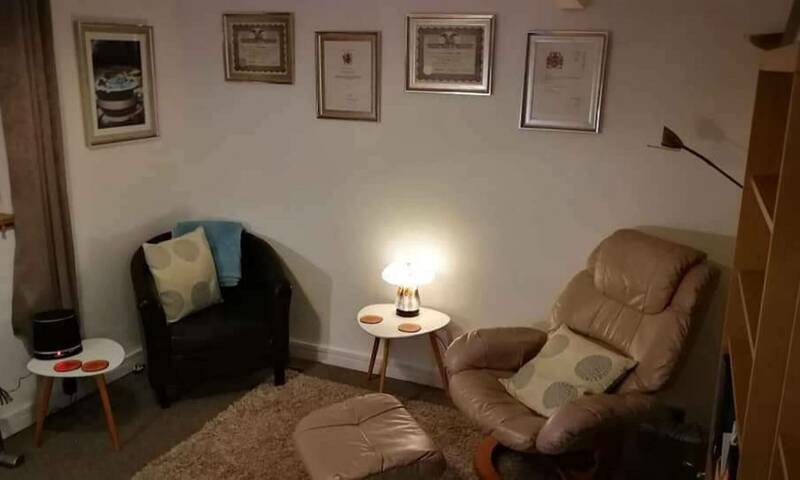 It also gave us a great opportunity for practicing some of our new skills and for developing our self-hypnosis for relaxation and visualisation course. The only issue was we ran out of time so quickly, we are definitely going back and I can highly recommend it. In the mean time, and for those of you who aren’t lucky enough to have the time or facility to take this time out; how about creating your own version. You may want to start with a short period of time but give yourself the option of extending it. You might be surprised just how much you enjoy being unplugged. Plan a time, book it in your diary and in the diaries of anyone else involved. Plan your time……what you want to do?…talk about?……achieve? It this time for you? For your relationship? or to spend with friends? It sounds easy doesn’t it? But many of us have so much going on in our lives that pull on our time, that we often find it hard to take time out completely. The wonderful convenience mobile phones now give us comes at a price, almost constant connectivity to the whole world can be very draining. Remember to be kind to yourself, and others. Give them time to think and respond to you; give yourself time to read that article, magazine or book. Spend some uninterrupted time with loved ones or even just take a bath and relax. © 2019 ENCOMPASS THERAPY. All rights reserved.